For the last couple of years I have planted my veggies in a container garden. I tried one year planting them in the ground and it was an epic fail. I always get asked by family and friends if I have any tips for anyone starting out and I thought it would be a great idea to share with my friends on the blogs. Depending on what type of veggies you plant you could spend a lot of time in your garden. I know you're probably looking forward to planting everything that you love. Start off planting A few plants and adding on once you get the hand of it. All vegetable plants are not created equal. So your research. Find out the best local spot in your area. I drive some ways to buy my plants. I stick with what has worked for me in the past. I've yield the most vegetables from a particular place and I stick with them. Trust me, you don't want to waste money and time. When you find a great place to buy your plants from stick with them. If your garden didn't do so great last year. Research a new place this year. Research and ask questions. No all tomatoes do get in a container. I buy a lot of my garden tools from the Dollar Tree. I also buy items off-season to use for the next season. You would be surprised what could be used to put plants in. I plan on using mason jars this year for my herb garden. I use empty egg cartons to start my seeds in. I use the big gallon buckets for my tomato and pepper plants, and beans. Most seeds have an expiration date. Most seed packets yield a lot of vegetables. Contact friends and family about sharing seeds versus wasting the pack. I live in New England and most people start their gardens Memorial Day weekend. I tried starting my plants earlier this year. However, we don't have the space. The seeds I planted just didn't make it. If you have more space to house the plants especially if you live in a colder clement like me. Go for it! Follow the directions on the best time to plant. Miracle Grow Plant Food -Must Have! 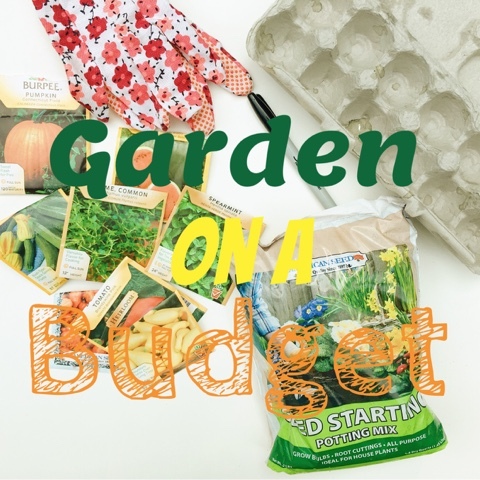 Are you planning on starting a garden this year?